At the Castle Shannon dental office of Colleen Cain, DMD, you can expect only the best in dentistry services, but that doesn’t mean your pocket book will take the hit. Our team of dental care professionals are proud to offer affordable dental care and processing dental insurance claims is just one more way that we ensure dentistry services will fit your budget. 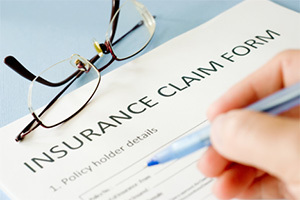 We are happy to process and file claims for most providers, and we are in-network with many major insurers, including Delta Dental. If you’re covered by Delta Dental benefits, make sure to let our team know when you schedule your first appointment at our dental office in Castle Shannon, PA If you have questions about your benefits, don’t hesitate to give us a call. We’re here to help. Like other dental insurance plans, Delta Dental offers a range of policies that fit your individual needs to ensure the dental treatment you need is covered. 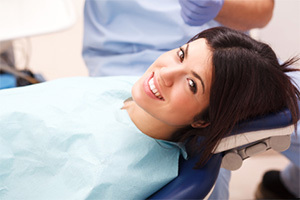 Most plans include complete coverage for preventive dentistry services like dental checkups and teeth cleanings. 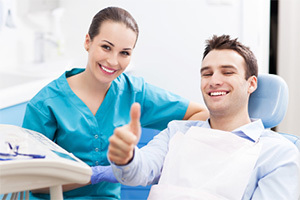 Restorative dentistry services like fillings, crowns, and dentures are also covered. The percentage of coverage you receive for these services usually diminishes with the complexity of the treatment. Minor restorations are usually covered between 70 and 80%, and more advanced dental services can receive anywhere from 20 to 75% coverage, depending on your policy. Other dental services like orthodontics and custom oral appliances, may also be covered for some patients, but we’ll need to review your plan to ensure benefits are available. While Delta Dental and other dental insurance providers typically offer coverage whether or not you visit an in-network dentist, there may be some added costs associated with visiting a dental office outside of your network. Delta and other dental insurance providers set treatment pricing maximums, and they only cover a percentage of the cost of dental care up to these set fees. In-network dentists have agreed to pricing that falls within the insurer’s set price range, so you only have to pay the out of pocket percentage of treatment costs. Out of network dentists may charge fees that are higher than the maximums set by Delta Dental, but you’ll be responsible for the difference in pricing and your out of pocket treatment costs. In most cases, these differences in cost are minimal, but at an in-network dental office, you’ll never have to worry about these added fees. When you call our dental office for information about your Delta Dental plan, be sure to ask for Mona. While any member of our team will do their best to help you understand your insurance policy, Mona is the office expert on all things dental insurance and billing. She’ll be happy to answer your questions, review your policy, help you with preapprovals, and do her very best to ensure you understand your dental benefits and can make the most of your available coverage.